It is almost a month for iOS 9.3.3 Jailbreak which came addressing iOS 9.3.3 and four below versions. And by now it has received number of updates which has taken the new jailbreak to the right track making a lot of confusion sorted out. If you need everything in the same page, here you are the chance where we wish to cover all important facts about new Pangu Jailbreak. Therefore read on and get everything precisely. 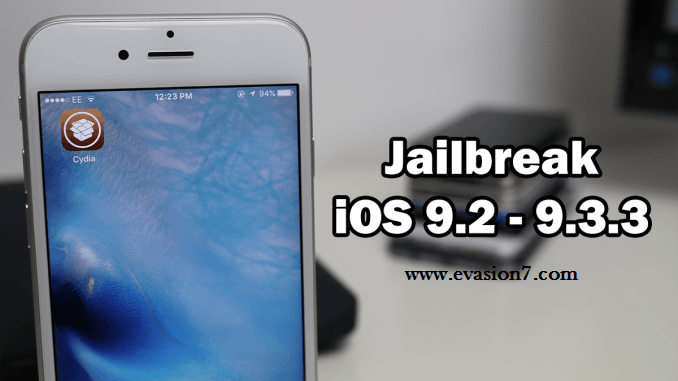 How Could I Jailbreak iOS 9.3.3? In addition to Pangu Chinese original release, you can now have two more versions to do the same job. In that way to jailbreak iOS 9.3.3, you have three versions by now. When Pangu new jailbreak at its infancy, there were a lot of confusion regarding the tool limitations. As a solution for that Pangu came with an English version which is for the exact process but featuring slight changes. In fact it can be taken as an update over Pangu Chinese, where user has given more chance to get with the process easily. So user can pick either Chinese or English (Recommended) to jailbreak iOS 9.3.3. In addition to the PC format, you can have a Browser-based too to jailbreak iOS 9.3.3. If you think connecting to the PC is troublesome, have a try on the Safari-based iOS 9.3.3 jailbreak where everything is handled on the device itself. For Whom New Pangu Download works? New tool has come to jailbreak iOS 9.2-iOS 9.3.3. And it is more convenient if you jailbreak being on iOS 9.3.3 latest jailbreakable firmware which is included with more security updates and improvements. Note: By now signing to iOS 9.3.3 is not possible as Apple has brought new iOS updates over iOS 9.3.3. In that way if you are on iOS 9.2-iOS 9.3.3, you have luck to grab Pangu jailbreak benefits. Is iOS 9.3.3 Jailbreak a Semi-untethered? Pangu new jailbreak is in a semi-untethered form which is consisted of both untethered and tethered qualities. Even though there were number of confusions, still Pangu has not changed its state meaning those who are willing to jailbreak iOS 9.3.3 have to accept its semi-untethered qualities. So each and every time you reboot your jailbroken device, you will have to re-operate the Pangu app to keep your device in the jailbroken state. If not a reboot can put it back to none jailbreak state. Will there be a fully untethered Pangu 9.3.3? As to the trusted reports, the answer is “No”. In fact through a Reddit message Pangu has revealed that they have no plan of releasing Pangu 9.3.3 as a fully untethered version. So it will be a semi-untethered until Pangu comes with another jailbreak update. What are the Benefits with Pangu v1.1? Pangu v1.1 updated as a solution for the jailbreak expiry with new Pangu semi-untethered jailbreak. So now iOS 9.3.3 jailbreak with new English version will bring a stable jailbreak with the 1-year Beijing Enterprise Certificate which will prevent you re-jailbreaking until April 2017. So now the confusion with re-jailbreaking after every 7 days is gone as Pangu v1.1 is updated to English version. If you have already jailbroken, you can too install Pangu v1.1 to get the new certificate feature to your jailbreak. Which Tool is Safer for My Jailbreak? With all-side consideration you will be finer to work with Pangu English version. So we recommend Pangu Download English version which comes featured 1-year Beijing Enterprise certificate, English language help, all platform support (Windows, Mac and Linux) for a safer and easily manageable process. I am Jailbroken, so what can I do with Cydia? Unlike earlier days, Cydia has too expanded to work with latest iOS 9.3.3. So now iOS 9.3.3 jailbreak fans can try all free and paid jailbreak tweaks at the same time advantaging Saurik’s refund feature that adds more value to all purchased Cydia apps and tweaks. For more caution check whether the app you have chosen is labeled as supported to iOS 9.3.3. If not Cydia will crash in unsupported incidents. Can I Unjailbreak iOS 9.3.3? Sometimes you might feel it is better to work on stock than jailbroken iOS, if so you have two ways to unjailbreak iOS 9.3.3 which will benefit in alter ways. iTunes Restoring is one of the ways you have to unjailbreak iOS 9.3.3, but it is recommended if you wish to upgrade to latest iOS 9.3.4/iOS 9.3.5 after unjailbreaking iOS 9.3.3 as it will force you to upgrade to latest. The other method to unjailbreak iOS 9.3.3 is Cydia Eraser. And it is more preferable as it allows you to unjailbreak and stay to iOS 9.3.3 unjailbroken. So it is beneficial even to re-jailbreak staying on the same iOS 9.3.3 firmware. Since the day of the new tool arrival, there were a lot of questions about the tool. And we think you are now answered to most including all about the changes Pangu took over the original. So now iOS 9.3.3 jailbreak is more preferable even though it seems quite strange with its Semi-untethered. But have a try as you have ways to come back to stock too. 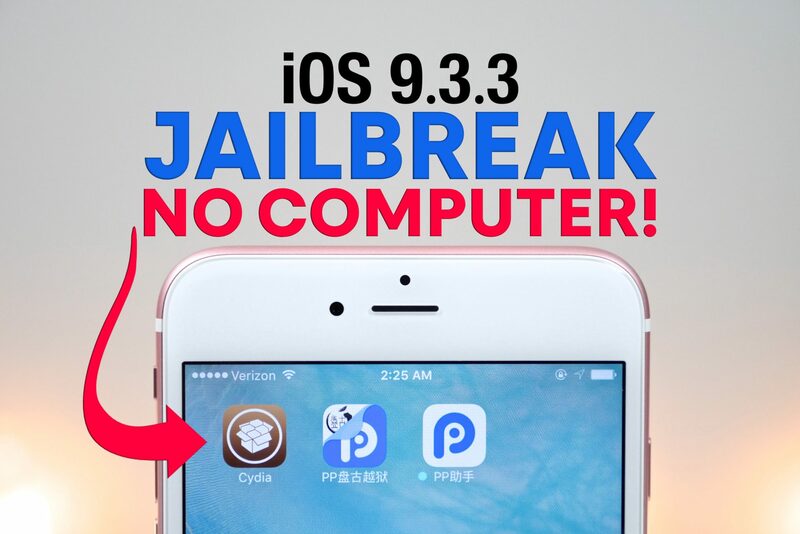 Therefore have a good time with iOS 9.3.3 jailbreak and do not forget to visit us to grab more latest jailbreak facts.